Colonel Jackhigh begins sassing a British men about their ways and also mentions that his horse is of such a high caliber that it will be any other horse. The British man takes him up on this offer and they make a bet to race their horses the next day. At the race the next day, the British man shows up first, looking prim and proper while everyone bets on him. Some time later, Jackhigh shows up on a horse that looks all but dead and a bit scary. People switch their bets to Jackhigh in part to root for the underdog. The race begins and the British man takes pity on Jackhigh's horse and lets him get ahead. However, when the British man tries to get ahead afterward, every time his horse gets close, Jackhigh's horse turns and smiles a freakish and intimidating smile that stops the British man's horse in its track. Eventually, the horse does this enough that the British man's horse runs away, allowing Jackhigh to win. This story reminds me greatly of Twain's The Celebrated Jumping Frog of Calaveras County. It has the same type of delivery to it, though it is doesn't have the same framing device. There's also the clear element of Americana in this story of the folks changing bets upon the declaration of a clear underdog in this battle. Source: The Complete Short Stories of Ambrose Bierce, compiled by Ernest Jerome Hopkins. Bison Books, 1984. 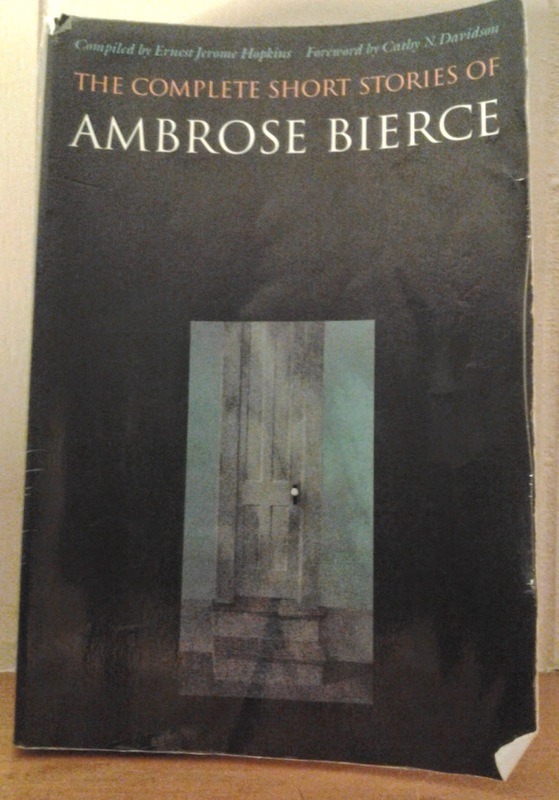 The full works of Ambrose Bierce, including this story can be found here on Archive.org.